The 10 Best Historic Theaters in Nebraska! Whether it’s a movie or musical, there’s nothing like experiencing a show in a stunning, historic theater. Across the state of Nebraska, you can still find a number of theaters built in the early 1920s, and even before that. From former vaudeville spaces to theaters that once screened silent films, experience a step back in time at one of these 10 incredible historic theaters in Nebraska. The Midwest Theater in Scottsbluff is a restored 1946 entertainment hall that hosts a variety of live music, movies, and theater events. A visit will transport you back in time and because of its history, the Midwest Theater was placed on the National Register of Historic Places in 1997. The Dundee Theater in Omaha is a single-screen movie house that dates back to 1925. Today, the theater projects independent flicks and cult classics, but the 300-seat theater was once the “it” place to be in the city. The Grand Theatre is a defining building in the town of Grand Island. Now a locally-run non-profit, the theatre shows a variety of films and shows throughout the year. Built in 1927, the World Theatre is housed inside of the historic Masonic Temple in Kearney. After being closed for several years, the theatre reopened in 2012 but still features its 1920s elements. The Rose Blumkin Theater, or known simply as “The Rose,” originally opened as the Riviera and quickly became another defining theater in downtown Omaha. For almost 70 years, the Rose Theater has been dedicated to live performing arts and showcasing local and national talent. The Pioneer 3 Theatre in Nebraska City is a local destination for entertainment with a side of nostalgia. This historic three-screen theater is still showing movies over 60 years after it opened. The beautiful, 145-seat Haymarket Theatre in downtown Lincoln is one of the top venues for live performances, musicals, and more. Located in downtown Omaha, the Orpheum Theatre was built in 1927 and remains one of the state’s most popular performing arts venues. Last year, the theater underwent a $3 million update, and is definitely a Nebraska landmark not to be missed. The Brownsville Village Theatre is more than 50 years old and was created out of an old church. This intimate theater hosts a number of productions and performances year-round. Built in 1923, the Benson Theatre was once known as the Benalto Theater and would organize a number of performances, film screenings, and events. Today, it is undergoing major renovations to once again entertain and enrich the Omaha community. 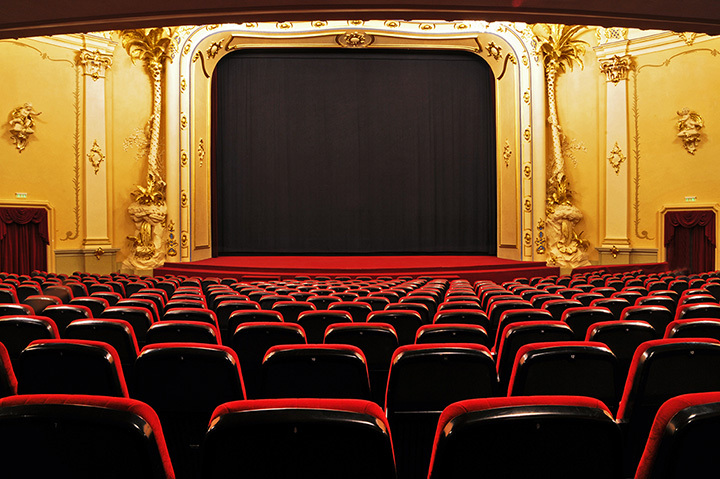 View more Nebraska Theaters and Playhouses.